Galloway Township will be losing another Township Manager leaving that four (4) Managers is just three (3) years that would have worked for Galloway Township. Township Manager Arch Liston has been nominated by Atlantic City Mayor Don Guardian to serve as their City Administrator. If Liston's nomination is confirmed by Atlantic City Council, Liston will serve in that capacity and move to Atlantic City, according to the Press of Atlantic City. The vacancy will leave Galloway Township Officials to immediately search for a replacement. Mayor Don Purdy publicly announced to Galloway Patch that Galloway Chief of Police Patrick Moran will serve as Township Manager and Chief of Police while it transitions to a new Manager. The position of Manager is an appointed position by the full governing body, not by the Mayor individually. Moran can only serve in the capacity of Township of Manager, only after the full Council votes, even on a interim status. However, Council may not be able to utilize Moran in the position of Township Manager and Chief of Police due to Galloway's Form of Government unless Moran resigns his position as Chief of Police. Mayor Don Purdy made such announcement endorsing Moran assuming he could legally serve in that dual capacity without legally researching all the requirements. Sources indicated Purdy has been stating to several members of council, current and incoming, that the Atlantic County Prosecutors Office (ACPO) confirmed Moran's eligibility to serve as Manager for a time period of three (3) months. In a request for comment to the ACPO through Jay McKeen, Public Information Officer, the Prosecutor issued no comment regarding our inquiry to verify the same information Purdy is alleged to have said or obtained. Several members of Council were unsure why Purdy made such a public announcement regarding Moran when the decision had not been made by the full governing body. Representatives of the State of New Jersey Attorney General's Office stated, in a select few municipalities there is a "Incompatibility of Office" as it pertains to the Chief of Police, Township Manager or Administrator holding the same position depending on the municipalities form of Government. The AG sent Galloway Township News the regulations regarding that. From the New Jersey Practice Local Government Law, §9:27. Incompatibility of office, "Having examined the nature of conflicts and the types of conflicts, it is worthwhile to mention the doctrine of incompatibility of office—a doctrine almost as old as Anglo-American law itself. In one sense, incompatibility of office represents a special type of conflict. It is a situation in which the nature of two offices is such that both positions cannot be executed with care or ability by the same individual, either because one is subordinate to the other or because one office in some other fashion interferes with the other." 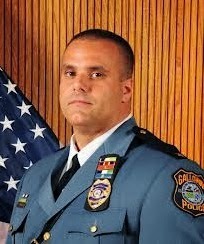 Galloway Township appears to be one of those municipalities where the Chief of Police may not be permitted to hold the Township Manager position simultaneously because of such conflicts created by Galloway's own Form of Government. We contacted the New Jersey State Association of Chief of Police to verify any statutory requirements regarding the Incompatibility of Office and if Moran would be permitted to serve as Manager. Mitchell C. Sklar., Esq. CAE, Executive Director of the New Jersey State Association of Chief of Police stated, "The answer is a qualified "yes" - it is permissible so long as the administrator/manager is not also designated as the statutory Appropriate Authority. It is clear that there must be a division between the Chief and the AA - someone else (mayor, or mayor and council are usual options) must be vested with this civilian position." Emphasis added. In Galloway Township, the "Appropriate Authority" designation gives the Township Manager the responsibility of the overall performance of the Police Department. "The Manager's position can simply be stripped of the Appropriate Authority responsibility while otherwise remaining intact," Sklar stated. By doing such removal of power from the Township Manager and amending the Township Code, may require a change in Galloway Township's Municipal Charter, which can only be changed by the voters of Galloway Township. The Municipal Charter is what dictates Galloway Township's Form of Government and powers set forth between the Manager, Administration and Mayor and Council. In Galloway Township under the Faulkner Act, "the municipal council shall appoint a municipal manager and a municipal clerk. Both of such offices may be held by the same person." Galloway Township may need to research all viable options for a Township Manager in a expeditious way, including utilizing the New Jersey League of Municipalities Recruitment and Advisory Services or a Temporary Manager from the Professional Service of Business Administrators Association. Chief Patrick Moran did not return our request for comment through public information officer Det. Sgt. Donna Higbee. Purdy never should be allowed to nominate his own friend to be Manager. Council needs to learn what Purdy does and strip him of Mayor ASAP. Extremely well written and researched. Can someone explain to me why Galloway got rid of Lisa Tilton as their Clerk? It's obvious they need someone in there to tell them what their suppose to do since the to-be ex-Mayor wants to throw his weight around only to be slammed back in place. Just saying…. And again the Township is caught doing something it can't legally do. Why is Purdy pushing so hard for Pat Moran? Good work Lisa! I am glad we have you! An acting Manager has the same authority as a Township Manager. The same conflict of interest would exist. Several towns can but as stated in the article in depends on the form government. Not all 566 municipalities in the state have the same form of government. The issue is the Appropriate Authority designation belonging to the Township Manager. Acting or not. I thought the article explained it extremely well. This isn't the case of if the Mayor can tow for the Police. I think this is clear cut conflict of interest and I hope the township looks into this and getting a suitable manager that isn't going to leave without notice or be fired. vtpat I agree. Without this site Galloway would do whatever they want with no accountability. The Press said the Manager was leaving yet never asked Galloway if they knew. This site shows Galloway doesn't know and the Patch prints that the Mayor has made his decision its to be the Chief. Why isn't all the reporting consistent? If other sites like Press and Patch are going to report on this kind of government wouldn't they have picked this up? Better reporting on those sites needs to be done. Ask questions not just report what they are doing wrong. Otherwise the story is worthless. We are short handed on the PD. But we can have the Chief serve in dual capacities. Purdy , Cappola and Tyrrell will pick the new manager. Here we go again!